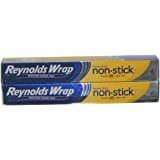 Amazon's Choice for "aluminum foil non stick"
Reynolds Wrap Heavy Duty Non-Stick Foil 35 SQ. FT.
Reynolds Wrap is proudly made in the USA in Louisville, Kentucky. 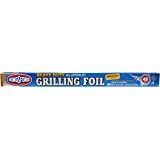 Our high quality foil withstands extreme heat and cold, making it perfect for everything from grilling to freezer storage. 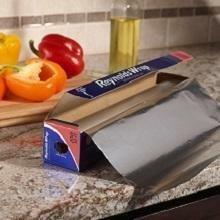 A trusted kitchen helper since 1947, Reynolds Wrap Aluminum Foil saves time with cooking and cleanup. 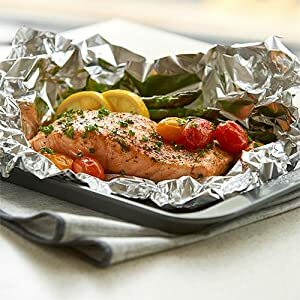 This versatile aluminum foil is great for lining pans, covering dishes, making packets for the grill and wrapping foods for storage and transport. 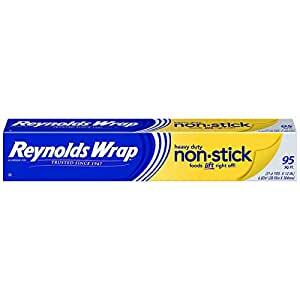 Reynolds Wrap also keeps your food deliciously moist and flavorful during cooking without a lot of extra effort or special ingredients. 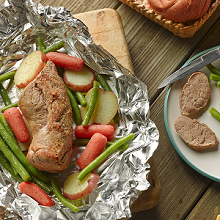 Foil packets lock in flavor and make meats tender and juicy! Bake in your oven or fire up your grill for a delicious meal that’s sure to please. No one wants to spend the evening scrubbing pans! 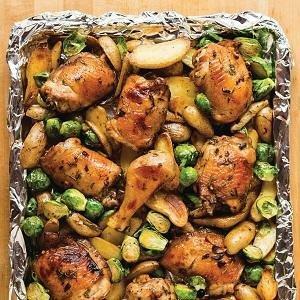 Delicious one-pan meals make weeknight dinners a cinch with the easiest clean-up ever. 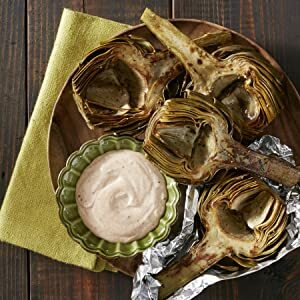 Wrap seasoned artichokes in foil for perfectly roasted or grilled vegetables every time. Prevent messes and save time on cleanup by lining or covering pans before cooking food in the oven, on the stovetop, or grill. Weeknights can get hectic! 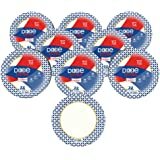 Use foil packets for delicious, easy meals on the grill or in the oven to seal in moisture and flavor. Prep ahead and store in the fridge or freezer for a quick go-to meal. 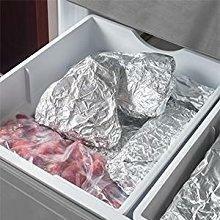 Quickly and easily wrap up food to store in the refrigerator or freezer. 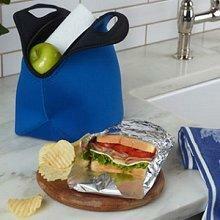 Wrap up sandwiches and other to-go meals to keep them fresh. 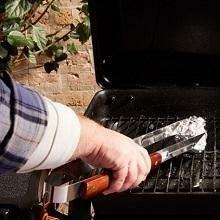 Roll up a ball of foil and use your tongs to scrape the grill grates to remove any built up mess. 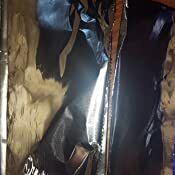 Get that smoky flavor you love by making a smoker packet with foil. Place pre-soaked wood chips into packet, seal and poke several small holes in the top to allow smoke to escape while grilling your food. 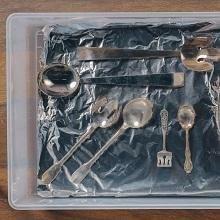 Get your silver ready for guests by lining a glass baking pan or plastic container with foil. For small pans, lay your silver items in the pan and add 4 cups of boiling water followed by a quarter cup of baking soda. It will foam, which is normal and safe. Lightly tarnished silver will be restored in several minutes, but heavily tarnished silver may require several treatments. This hack is a simple one that not everyone knows about. 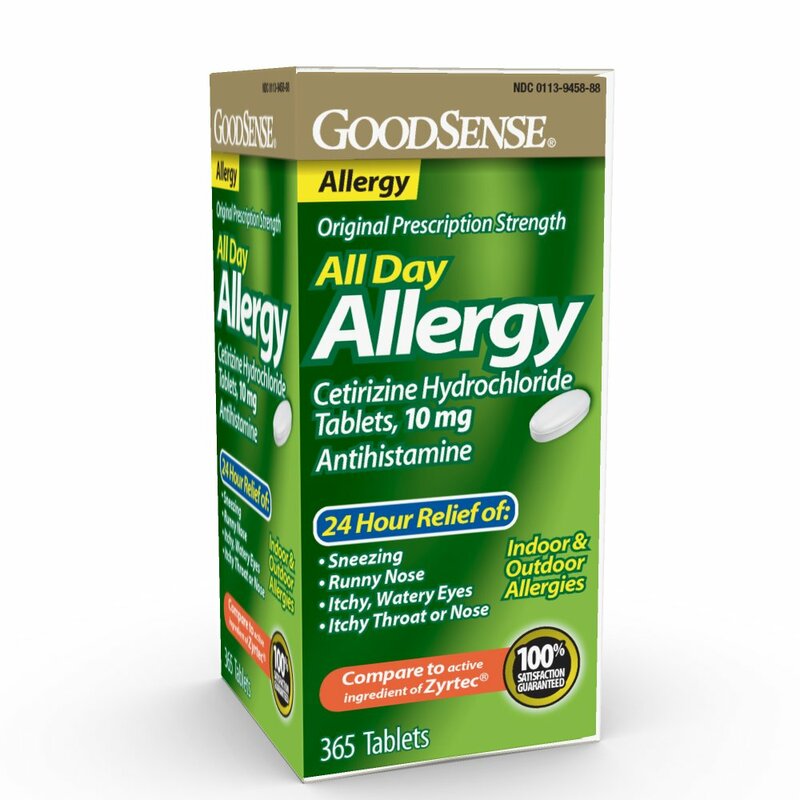 The sides of the box are perforated so that you can push them in. This helps to anchor the roll in the box so that it won't fall out as you are ripping a new piece of foil from the roll. 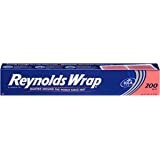 Made in the USA since 1947, Reynolds Wrap Aluminum Foil has trusted strength and quality you can count on for cooking delicious meals with easy cleanup. 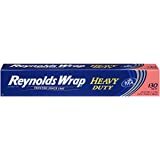 Reynolds Wrap Non Stick Heavy Duty Aluminum Foil makes for a great partner in the kitchen. 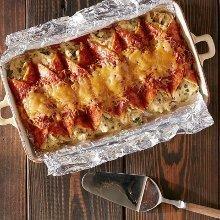 Line your pans with non stick aluminum foil when cooking in the oven, and food slides right off. Cover pans with cooking foil when baking foods such as cheesy casseroles and lasagna to avoid stuck-on food and messy splatters. 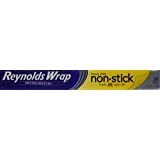 Use Reynolds Wrap non stick foil to lock in flavor by creating foil packets or by wrapping and storing leftovers in the freezer or refrigerator. 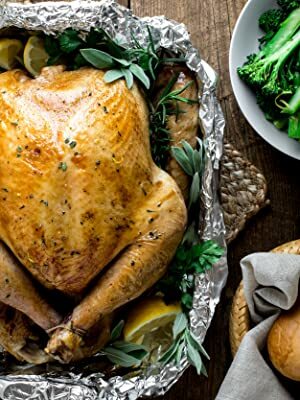 Create an aluminum foil tent using this tin foil over your turkey, ham and roasts for juicy flavor. 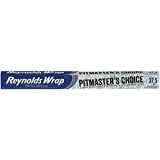 Because it holds up to high heat, Reynolds Wrap non stick aluminum foil is a good choice for use on the grill, where it helps keep meats such as BBQ brisket and ribs moist, juicy and tender during grilling or smoking. 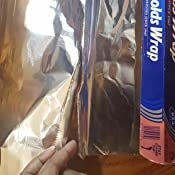 How to use: the dull side of the foil is the non-stick side. Place food on the dull side. 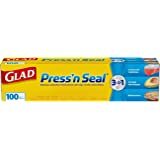 Wrap meat to tenderize & protect during grilling. Line pans before cooking for easy cleanup. Place over grates and punch holes to allow juices to drip through. Grates will stay cleaner & grilled foods will lift right off. This is really good aluminum foil, heavier than the "Heavy Duty" foil available in the super market. I wish the makers of foils would state the gauge on the package so the consumer can make easier comparisons. I'd like to know how this foil compares with the Reynolds "Extra Heavy Duty" available in 500 ft and 1000 ft rolls. 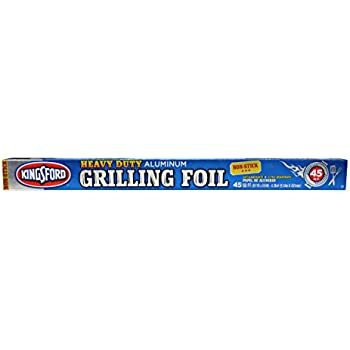 I'd like to be sure I have the heaviest, most foil readily available for my grilling, smoking.and slow cooking on my new pellet grill. 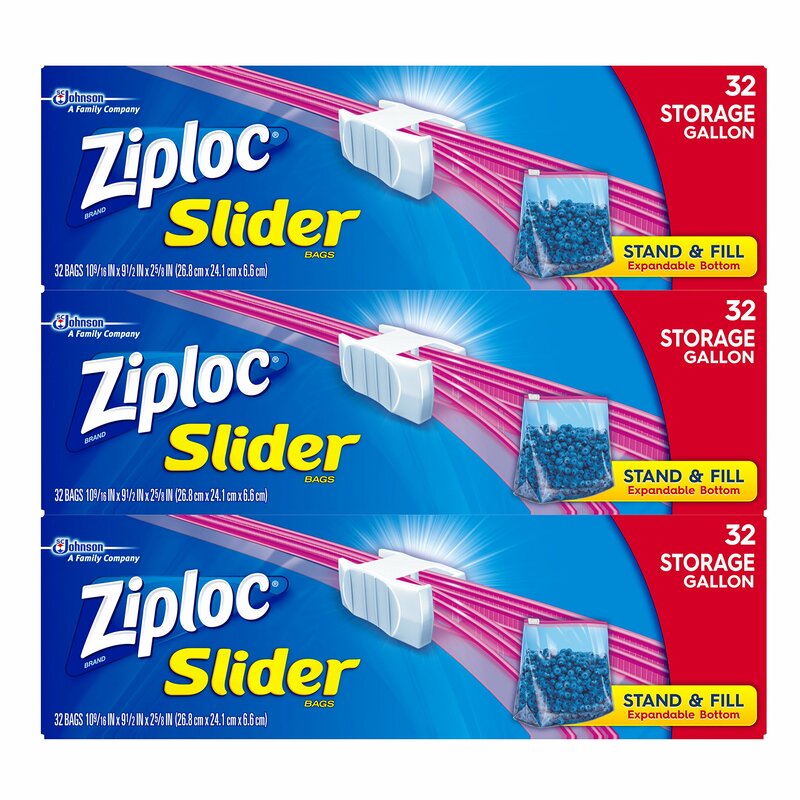 I mostly use foil just for lining baking pans/cookie sheets and reheating food in the oven This stuff is awesome - food DOES NOT stick to it; slides right off. 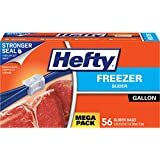 It’s pricey but worth it, yet might not be an economical choice if you use aluminum foil for other purposes where food sticking isn’t an issue. 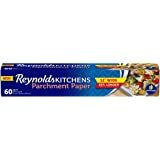 I keep a regular roll of foil for misc tasks, but this nonstick foil is my go-to in the top drawer. 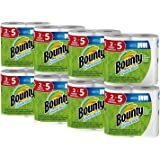 5.0 out of 5 starsDozens of uses around the house! I’ve been using this nonstick foil for years and love it. 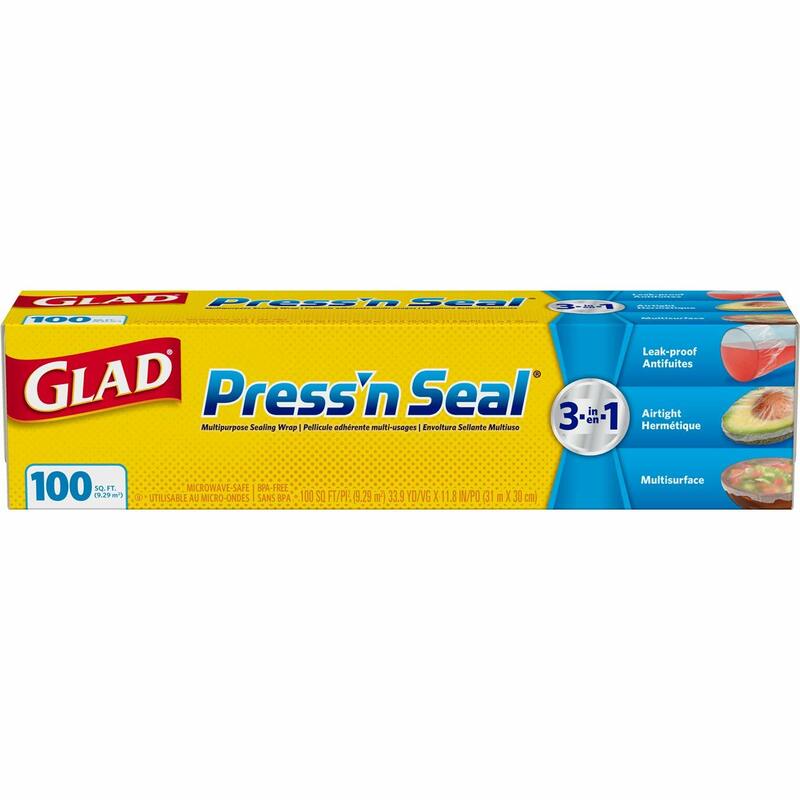 Once you have it you’ll find all kinds of uses for it—your own roll of disposable Teflon. 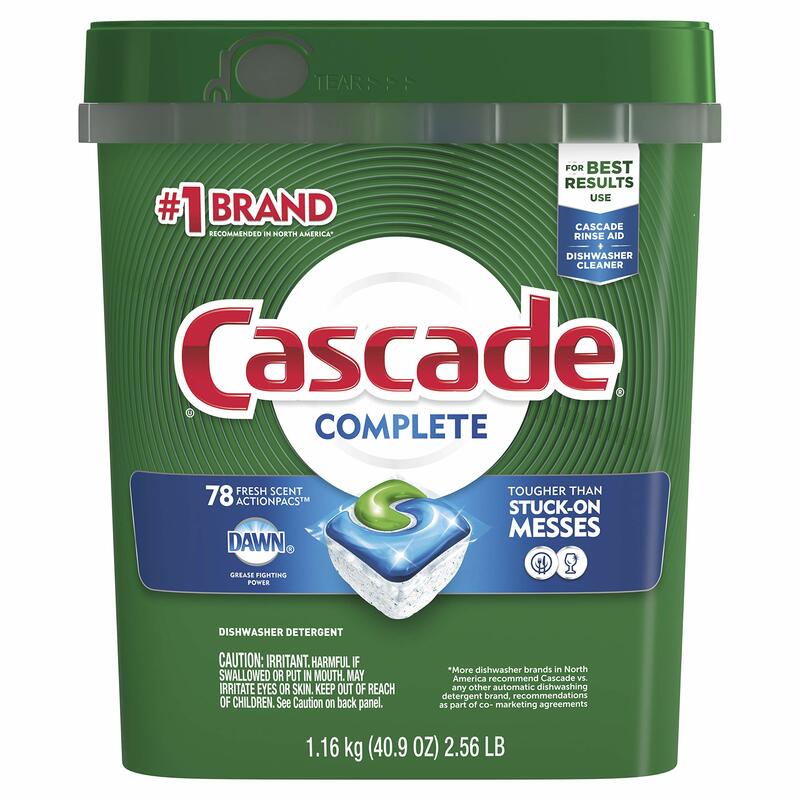 One of the best household tools I buy. 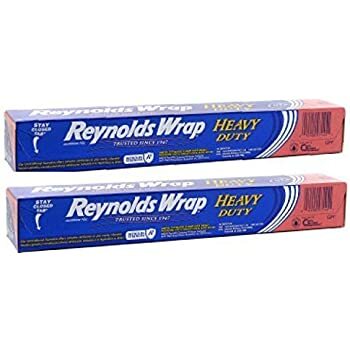 It’s about twice the price of regular foil, and I’ve not found a generic version, but well worth it. 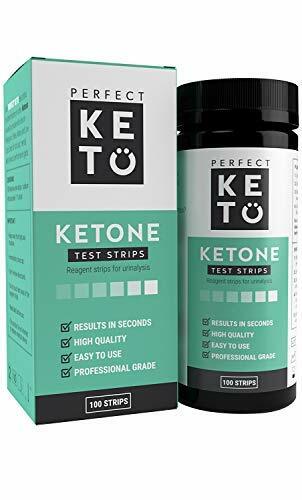 I have been using this for years. I love it. I line pans with it. Food does not stick to it and there is no cleanup. 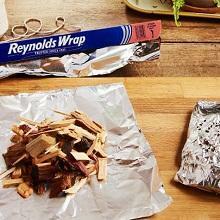 Throw the foil away after removing the food. No more scrubbing pans. We love the non stick foil. My kids have ruined most of my baking pans by using them for greasy foods and then putting them in the dishwasher. 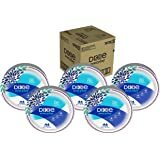 This set the grease stains on the pans. Now we use the non stick foil on all our pans and we instantly have a new clean non stick surface for whatever we are cooking or baking. It pays to pay a little more and get the non-stick foil. 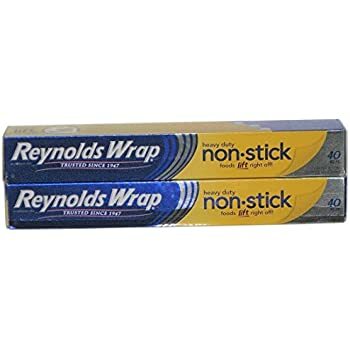 It is so easy to use because of the non-stick and the fact that it is thicker than regular foil. You never have to double it. It really works. You know how buffalo wings in the oven stick? Not with this! 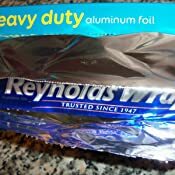 I rarely use regular aluminum foil for baking anymore because Reynolds Non-Stick makes things a lot easier. 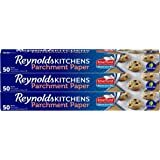 I can get it in the local Kroger, but in much smaller rolls. This big roll lasts a long time.